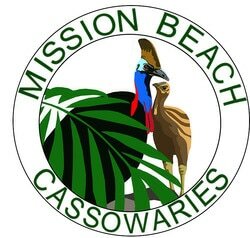 Two more developments have been approved recently by the federal environment minister that require destruction of essential Cassowary habitat. Both residential developments are in important remnant rainforest corridors. A lot of high value vegetation that survived Cyclone Yasi has been cleared to make way for yet more housing and 'landscaping' at Mission Beach. officially cleared for "rehabilitation / landscaping"
On the 1st August, Environment minister Tony Burke will announce his decision whether to approve a development on Lot 66. The 15 lot development will require large scale clearing in the middle of a major wildlife corridor linking the World Heritage area to critically endangered littoral rainforest at the centre of Mission Beach. It is now known as Garrett Corridor in recognition of the then minister for environment denying a development because of the impact it would have on the endangered cassowary and particularly the rainforest. Write a short statement to Let him know your concerns about further rainforest clearing at Mission Beach.